THE RED KNIGHTS Color Guard. DEPARTMENT CHAMPIONS:(State of New York): 1996, 1999, 2001, 2003, 2004, & 2005. For a list of Color Guard Members and Officers, please see the Post Officers page on this website!!! We are very proud of our first-class Red Knights Color Guard Unit! 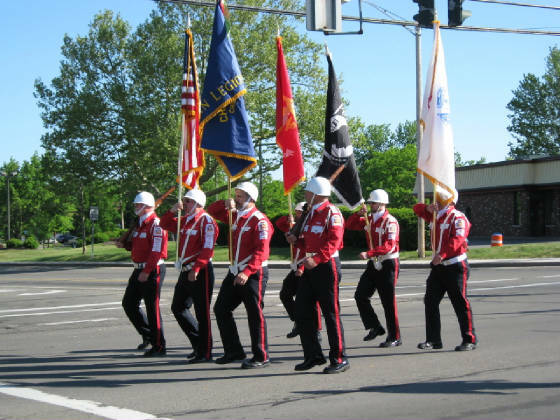 Anyone who is a member in good standing in the American Legion, or Sons of the Legion may join and march with the Chili Post 1830 Red Knights.